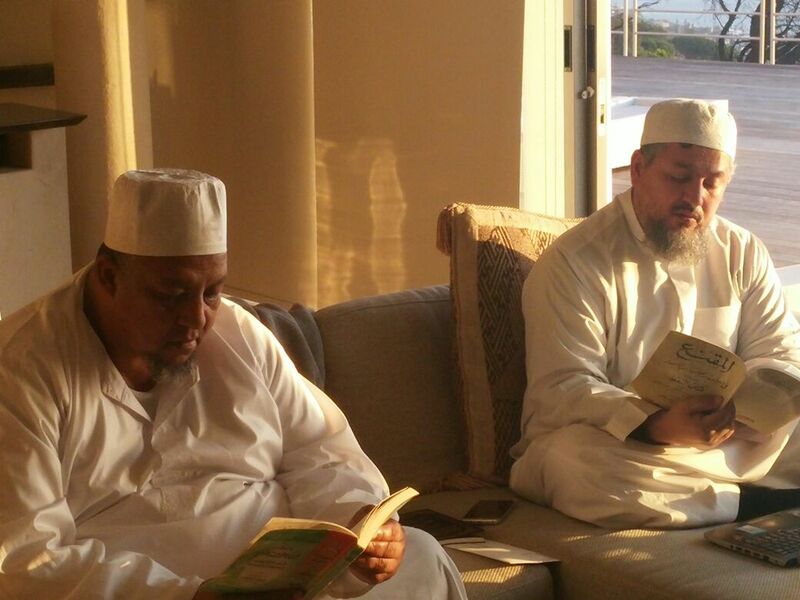 The Cape was blessed with a visit by one of the leading Qurʾānic scholars in the world, Dr ʿAbd Allah ibn Ṣāliḥ ibn Muḥammad al-ʿUbayd. 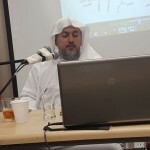 Born in Saudi Arabia, 1966, Dr ʿAbd Allah has travelled the world in his quest for knowledge, including Saudi Arabia, Yemen, Syria, Jordan, Egypt, India, Pakistan, Malaysia, Indonesia and Maghreb. 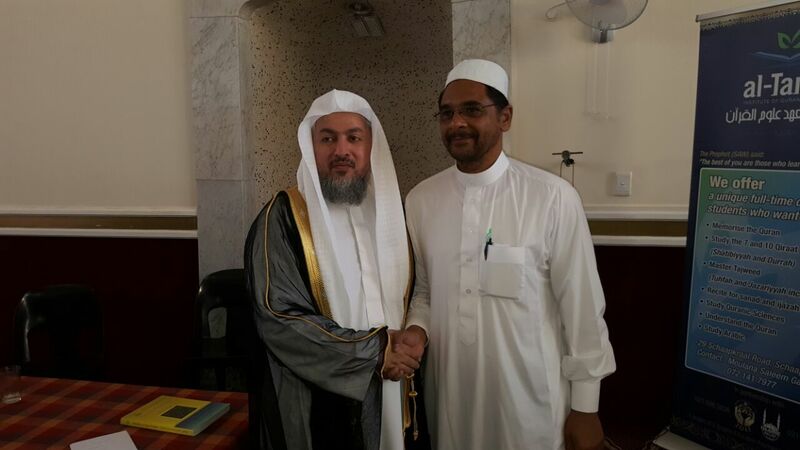 Though he loves the science of Hadith – having read the entire Ṣaḥīḥ of al-Bukhārī to more than 20 different teachers across the globe – he has a passion for the Qurʾānic sciences. 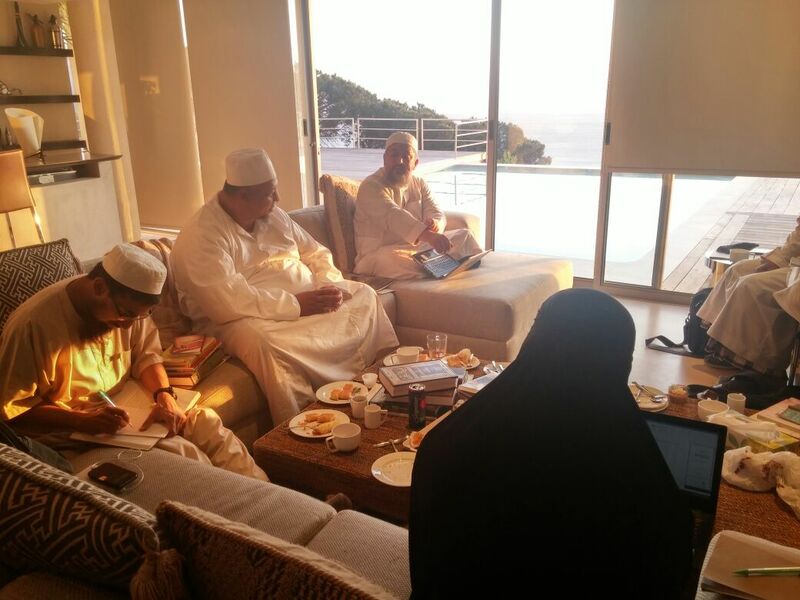 It was this passion that ignited the aspiration to initiate various Qurʾānic programmes in the Western Cape during his three-month stay here. During his short stay, 12 students completed the narration of Ḥafṣ by him via the tarīq of the Shāṭibiyyah, the Rouḍah and the Miṣbāḥ. 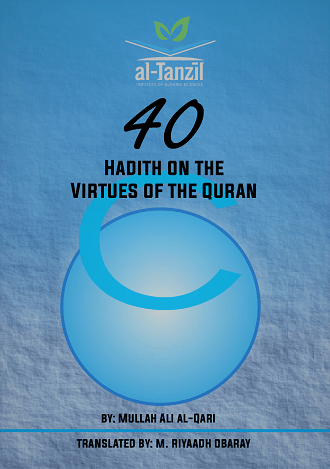 Four students completed the Ten Qirāʾāt via the Ṭayyibah, as well as the Four Shādhdh Qirāʾāt (Anomalous Readings) of Ḥasan Basri, Yaḥyā Yazīdī, Aʿmash and Ibn Muḥaysin. 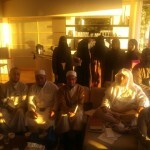 One of the four students included a female, Sister Ayesha bint Ganief Abrahams. 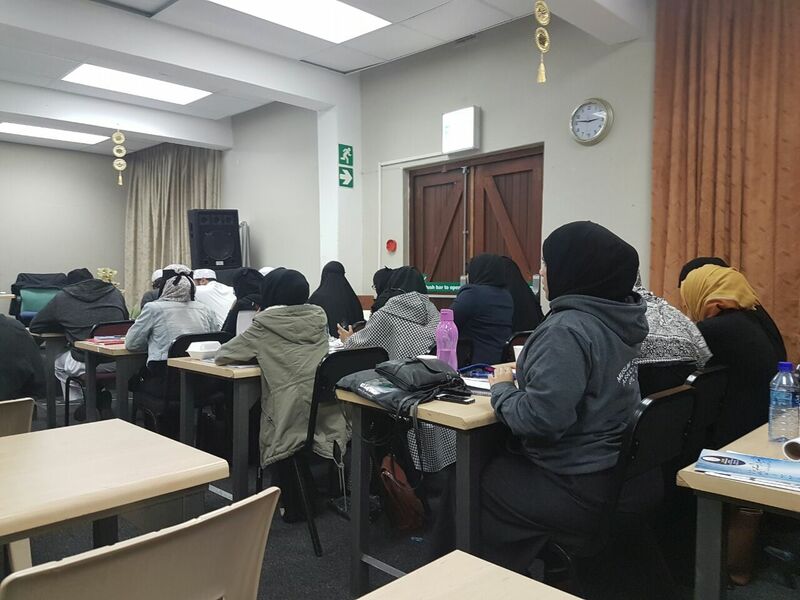 This is the first time in the history of South Africa that a female completes the Ten Qirāʾāt via the Ṭayyibah and the Four Shādhdh Qirāʾāt. 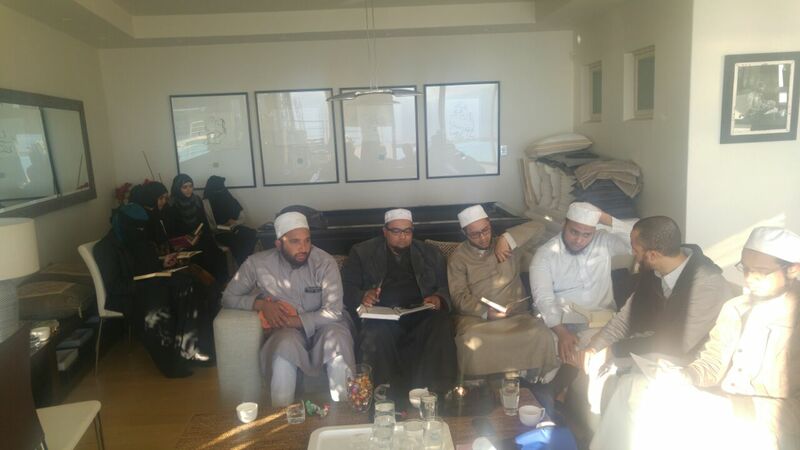 In addition to the above programmes, a two-day workshop was conducted with the honourable Sheikh. The workshop was intense and rigorous, completing the entire reading of 10 individual works in the field of Tajwīd, spanning from the earliest book ever written on the science (al-Khāqāniyyah), to contemporary compilations of the erudite, Sheikh Ibrāhīm al-Samannūdī. Awards were presented to those who excelled in the workshop, as well as those who memorised certain poetic works. 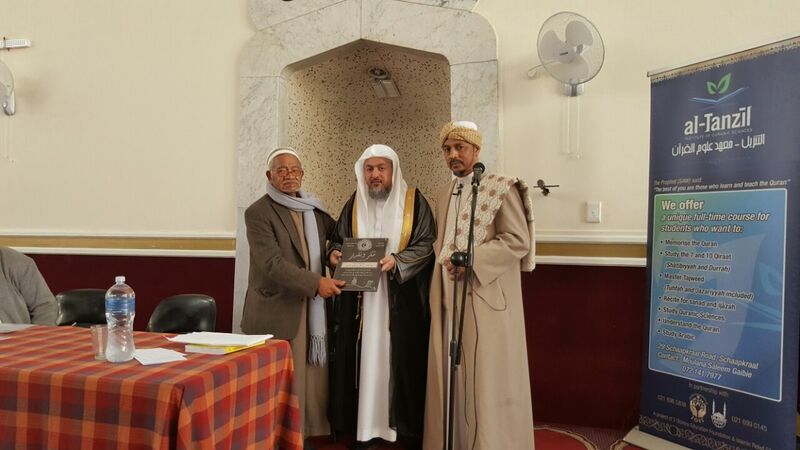 The graduation ceremony was graced by the Qadi of the Muslim Judicial Council (MJC), Sheikh Āmin Fakir, the Qurʾānic expert, Sheikh Iḥsān Davids, as well as the honourable Sheikh Ibrāhīm Gabriels. 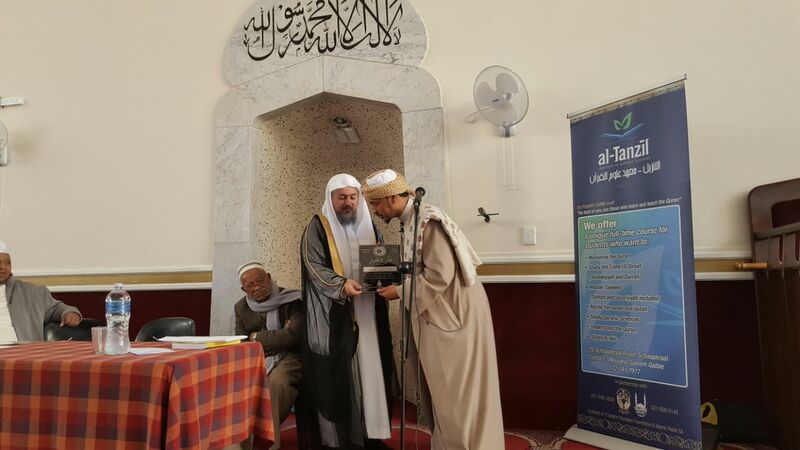 Sheikh Ibrāhīm presented a plaque to Sheikh Obeid on behalf of the MJC in recognition of his sterling efforts in the field of Qurʾānic study in the Cape. 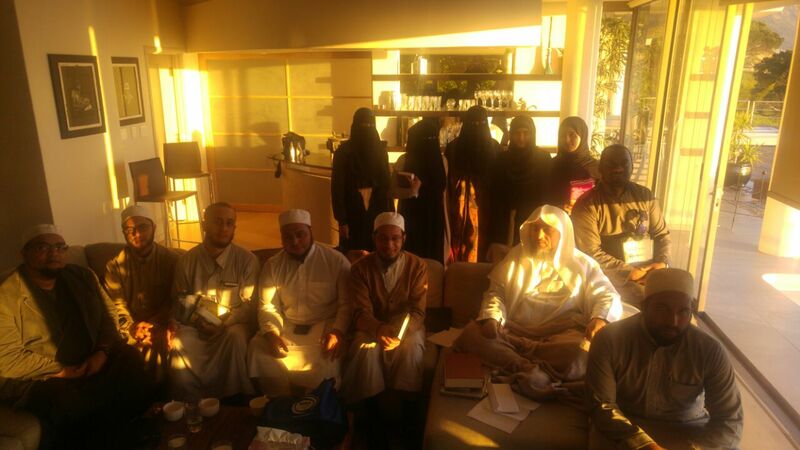 History will forever note the visit of Sheikh Abd Allah al-ʿUbayd in the Cape. During his memorable stay, 16 individuals received sanad and ijāzah in the Qurʾān, while more than 100 received ijāzah in various books and texts. Sheikh al-Ubayd has left an indelible mark on our shores, and has certainly left a legacy that will continue and grow amongst us until the end of time. a) The Prophet (saw) to the Companions [Sahābah] (ra). 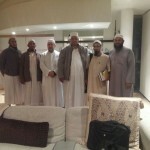 b) The Companions (ra) to their Successors [Tābi˘ūn] (ra). c) The Successors (ra) to their Students [Tābi˘ū al-Tābi˘īn] (ra) and so forth till present times. It was during the era of the Successors (ra) and the period immediately thereafter that exceptional individuals became renowned as teachers of the Qurān. 1) Mecca had Ibn Kathīr. 2-3) In Medina were Abū Ja˘far and Nāfi˘. 4) Ibn ˘Āmir hailed from Shām. 5-8) ˘Āsīm, Hamzah, Kisā’ī and Khalaf were from Kufa. 9-10) Basra was the home of Abū ˘Amr and Ya˘qūb. These ten teachers are known simply as al-Qurrā’ al-˘Asharah or the Ten Readers. Whenever a person recites the Qurān correctly, he inevitably does so in accordance with one of the readings of the Ten Readers. It is therefore commonly said that he recites according to the reading of Nāfi˘ or any of the other teachers. This is so because their renditions of the Prophetic manner of recitation reached such acclaim for their authenticity and correctness that it eventually began carrying their names. It has been suggested that they are the authors of these readings but this is incorrect for these readings were passed on to them preserved in their original form by way of the chains of narration called sanads. Their names are synonymous with these Qurānic readings simply because of their exceptional dedication to its study, correct rendition, instruction and preservation. The books of history are replete with the details of their abilities, efforts and lives spent in learning and teaching the authentic Qurān. Additionally, it should also be remembered that they were not the only Muslims practicing or teaching these readings but rather that they outshone others. Their readings are therefore the most authentic and are known as al-Qirā’āt al-˘Asharah or the Ten Readings. Those who narrated these readings from these ten teachers, whether directly or indirectly, became known as the transmitters [ruwāt]. Each of the ten teachers has two transmitters, as chosen by Ibn al-Jazarī. There were many other transmitters but these were the most prominent to which scholars most commonly referred. Those who narrated from the transmitters [ruwāt] are known as the turuq or ways. Again it is inconsequential whether their narration from the transmitters is direct or indirect. The various ways [turuq] are divided into turuq ra’īsiyyah/asliyyah [primary ways] and turuq far˘iyyah [secondary ways]. According to the selection of Ibn al-Jazarī each transmitter has four primary ways [turuq]. Those who narrate from these primary ways [turuq ra’īsiyyah/asliyyah] are known as turuq far˘iyyah [secondary ways]. The most famous reading [qirā’ah] is that of ˘Āsīm according to the narration [riwāyah] of Hafs via the way [tarīq] of al-Shātibī. The various differences in these many ways [turuq] are documented in works dealing with variant readings. 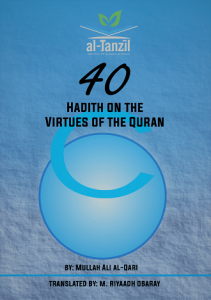 For example, differences in the tarīq of Shātibī for the narration of Hafs are detailed in al-Hirz al-Amānī wa Wajhu al-Tahānī, better known as al- Shātibīyyah. It was written by Al-Qāsim bin Fīrruh ibn Khalaf ibn Ahmad al-Ru˘aynī al-Shātibī, better known as Imam Shātibī. He was born in Shātibah in 538 A.H.
Before Imam Shātibī completed his work, the qurrā` in Egypt would memorise the book al-˘Unwān by Abū Tāhir Ismā˘īl ibn Khalaf al-Andalusī (died 455 A.H.). When they were introduced to the Shātibiyyah, they left memorising al-˘Unwān and started memorising and studying the Shātibiyyah. 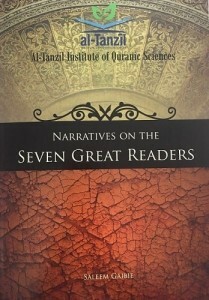 Subsequently, they read the seven qirā`āt as defined in the Shātibiyyah. This acclaim for the Shātibiyyah was not restricted to Egypt alone but throughout the Muslim lands. Abū Shāmmah mentions that the seven qirā`āt are made easier for the student via the Shātibiyyah. Ibn al-Jazarī says that whoever embarks on the study of this poem will realise the brilliance and proficiency of the author. He adds that no other book of qirā`āt has become as famous as the Shātibiyyah. Furthermore he emphasises that a student of qirā`āt cannot be found without a copy of the Shātibiyyah; in fact he deems that no Islamic land is without a copy of this exceptional book. No other book of qirā`āt is memorised, read and studied as much. People vied to have copies of the Shātibiyyah, so much so that Ibn al-Jazarī states that he had one copy written by Hujayj, a student of Sakhāwī. He was offered its weight in silver to sell the copy, but he refused. 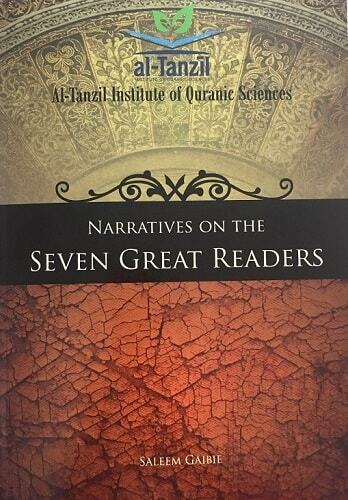 The Shātibiyyah comprises of the seven qirā`āt as transmitted from the seven famous qurrā`. Each of these qurrā` has two transmitters, totaling a number of fourteen narrations. Muhammad ibn Muhammad ibn Muhammad ibn ˘Alī ibn Yūsuf al-˘Umarī al-Dimashqī was born in the year 751 AH. Through the ages scholars have authored a great many works in the field of qirā’āt. If we consider Abū ˘Ubayd al-Qāsim ibn al-Sallām to be the first to have written in this area of scholarship – as suggested by al-Jazarī – then this started in the third hijrī century. If we consider more rudimentary works such as those of Abū ˘Amr Ibn al-˘Alā’, Hamzah, al-Kisā’ī and others, then works on qirā’āt have been penned since as early as the second and even first hijrī centuries. 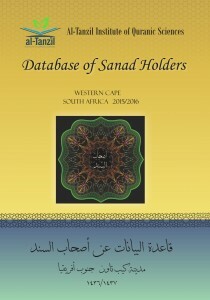 The works of these scholars were firmly based on the isnād system as employed in hadith sciences. An author would therefore include in his work only those readings directly received from his teachers. If A, for example, read to B, C and D, the former would only record the qirā’āt he received from them. If other scholars, such as E and F, narrated variant readings not received by A from his teachers, he would refrain from including these readings [qirā’āt]. This was the case even when he was knowledgeable of the details of the variant readings and able to render it, for scholarly trust [amānah ˘ilmiyyah] demanded that he record only the readings authorised by direct reception. This manner of committing the various sciences of qirā’āt to paper continued till the ninth century. In the ninth century many were of the opinion that only the seven readings as documented in the Shātibiyyah were authentic. Ibn al-Jazarī therefore wrote his book, al-Durrah, on the three qirā`āt which completed the seven found in the Shātibiyyah. The Durrah was based upon the same meter and rhyme-scheme of the Shātibiyyah. These ten readings i.e. the seven as found in the Shātibiyyah and the additional three mentioned in the Durrah is known as the minor ten readings [qirā`āt ˘asharah sughrā]. Ibn al-Jazarī traveled extensively studying by numerous teachers of qirā’āt. This allowed him to narrate the various chains of narration particular to qirā’āt via a myriad of books. His later work and magnum opus, the Nashr, is therefore unique in that it includes the content documented in 37 other works, including the Shātibiyyah. The study of this scholarly text is therefore effectively that of 37 works, multiplying the arduousness of its analysis tremendously yet simultaneously increasing its benefit over any other work on qirā’āt. Ibn al-Jazarī later converted the Nashr into poetry which he named Tayyibah al-Nashr. The qirā`āt contained in these two works are referred to as the major ten readings [qirā`āt ˘asharah kubrā]. 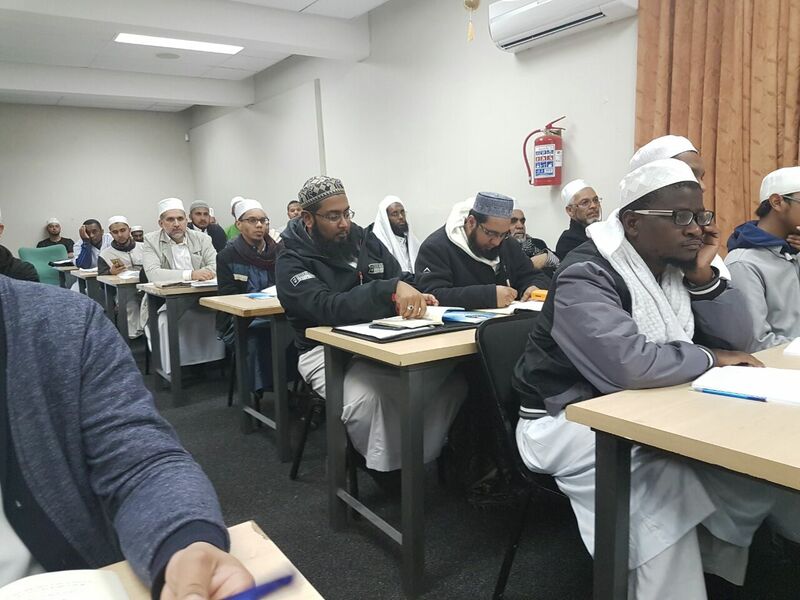 The Muslims of the Cape are not unacquainted with gatherings of dhikr (remembrance of Allah) and halaqaat (circles of learning) of Quranic recitation. Concerning the latter, special groups were formed to take part in these recitals named “bacha jama’ahs” (assembly of reciters). Though they might differ slightly to the manner in which they were conducted previously, they go as far back as the 1920’s in the Cape. These fraternities of recitation were open to all huffath and brought them together in a spirit of love for the Quran and its recitation. At the same time, it allowed for them to critically listen to each other, learn and set standards for recitation in a structured manner. 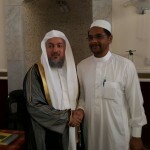 Presently, quite a few groups exist who continue these periodic or weekly recitals, the most prominent probably being that of Sheikh Salih Abadi and Sheikh Yusuf Booley. Muʿāwiyah t relates that the Messenger of Allah S came to a circle of His companions and asked: ((What caused you to sit together? They replied: “We sat to remember Allah, and praise Him because he guided us to Islam and graced us with it.” The Prophet S replied: Jibrīl u came to me and informed me that Allah boasts of you to the Angels.)) It is reported by Muslim, Al-Tirmidhī, al-Nasāʾī, and al-Tirmidhī says that the hadith is hasan sahīh. Hadiths regarding this are many. Ibn Abī Dāwūd relates that Abū al-Dardāʾ t would study the Quran with a group, all of them reciting at once. Ibn Abī Dāwūd relates the superiority of studying together from many of the previous Illustrious Predecessors, their successors and legists. 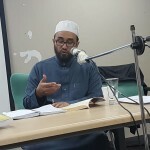 Imam Malik was asked regarding a group reciting a tenth, a juz, or the like thereof and then remaining silent while another would recite from where the previous reciter stopped. Imam Malik replied that there was no problem with this. 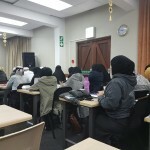 Those who gather and recite from masahif (copies of the Quran) – whether they are our customary one juz copies or otherwise – are just as meritorious if not more, since the person who recites while looking into a mushaf couples the reward of recitation as well as the reward of looking into a copy of the Quran. 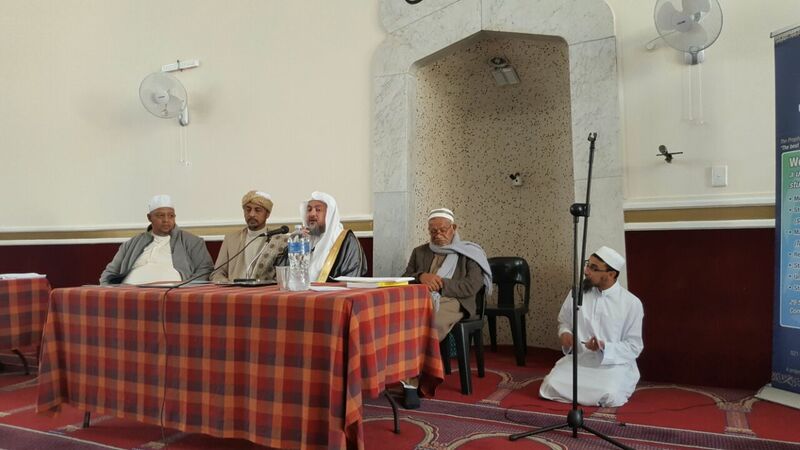 On 5 February, 2016, history was made in the Cape when al-Tanzil initiated the first halqah dedicated to reciting various Qirāʾāt. Though it is currently restricted to the Reading of al-Kisāʾī, it looks to expand until it encompasses all Ten Qirāʾāt. 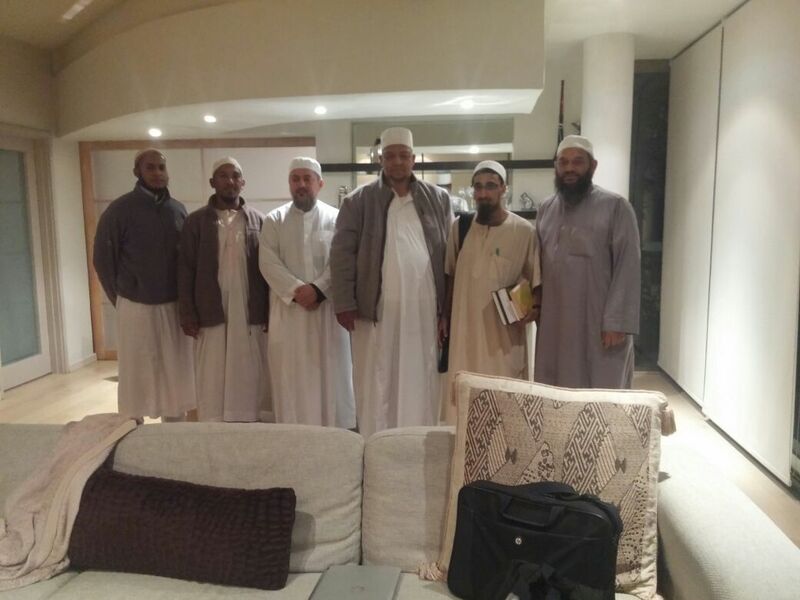 These halaqaat are headed and overseen by Sheikh Ebrahim Floris, who has 12 sittings planned for 2016. 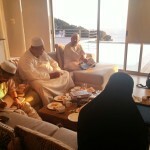 Each sitting witnesses approximately two juz being read from the beginning of the Quran until a khatm will be made. Only those who have studied the Reading of al-Kisāʾī are allowed to recite in the halqah, and all recite from memory. We pray that Allah grants them sincerity, steadfastness and accept their noble efforts. Besides the Kisai Project being a rigorous and intense programme, it was also exclusive to those who previously held ijazah. Thus, out of the many, only 14 qualified and were accepted to take part. 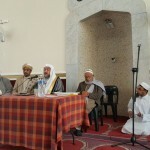 The programme’s structure required its participants to recite to selected teachers on a regular basis until the entire Reading of Kisai was completed – from the start of the Quran until the end. 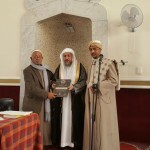 The project was supplemented by the Khalaf al-Aashir programme, which unique design allowed all the participants to render the Quran to Sheikh Ihsaan Davids and Sheikh Saleem Gaibie, according to the Qira’ah of Khalaf al-Aashir. The graduation witnessed the above-mentioned names receiving sanad and ijazah in these two Readings. 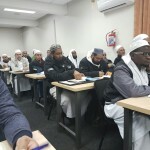 In addition to these Qira’at being completed, the graduation also saw Hafith Amir Brinkhuis, Sheikh Muhammad Zayn Alexander and Hafith Akhlaaq Oldey completing the narration of Hafs. The latter also completed the narration of Susi. 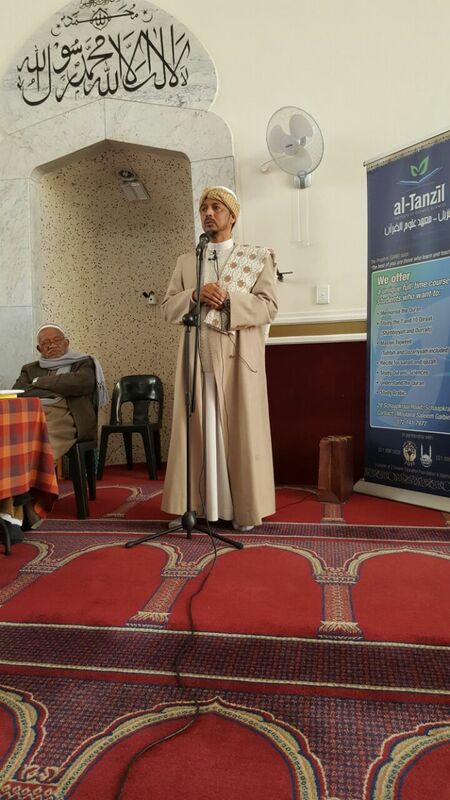 Kaashif Isaacs completed his memorisation of the Quran. Furthermore, certificates were presented to both Muhammad Riyaadh Devan and Amir Brinkhuis for studies completed at al-Tanzil. 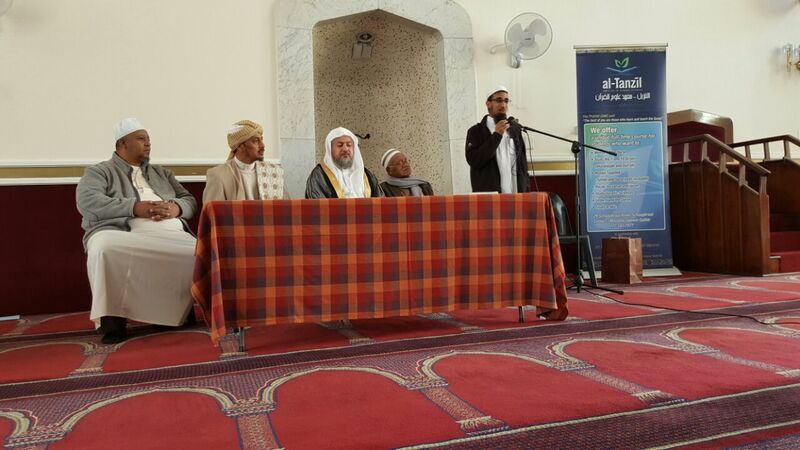 One of the highlights of the graduation was the keynote address by the Sheikh al-Qurra’ of South Africa, Qari Ayoob Ishaaq, preceding the completion of the Seven Qira’at by Sheikh Abdullah Petersen and Sheikh Muhammad Alawi Alexander. 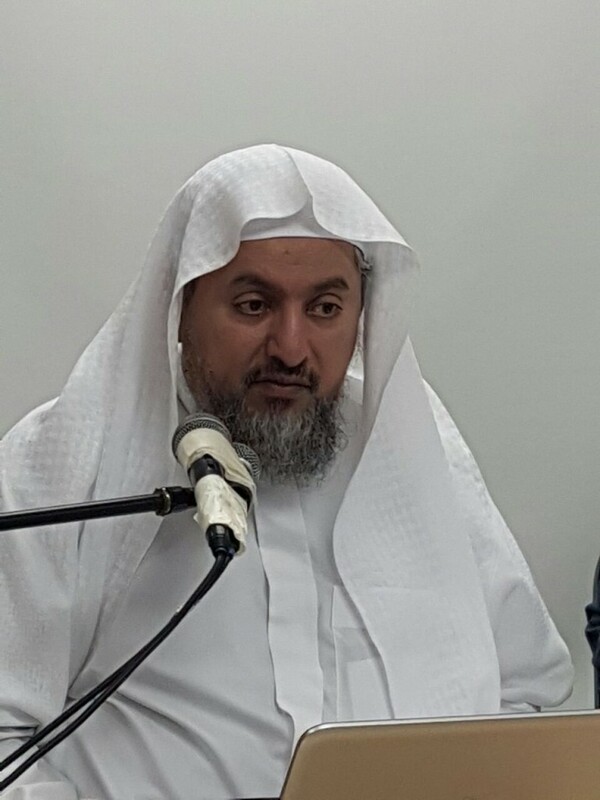 Qari Ayoob acknowledged the momentous occasion in which a number of young men had dedicated much of their youth and energies into the study of the Noble Quran. In the same manner, during the prophetic period, the Prophet and the Companions gave due diligence to the learning, teaching and propagation of the Quran. 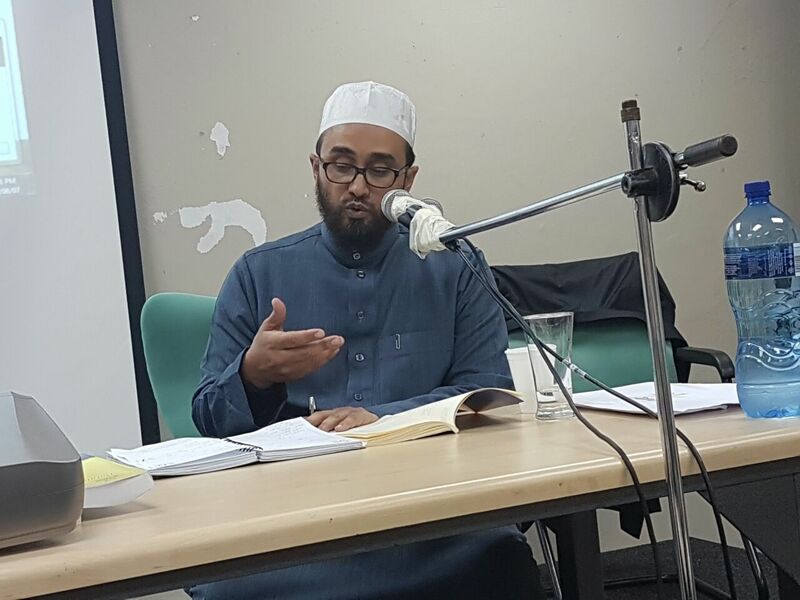 He quoted Imam Shatibi who relates that as the Quran was memorised in the time of the Prophet and the earlier generations, so it will continue to be memorised until the end of time. 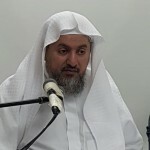 He then recollected the virtues of those who studied the Quran, relating Hadith of the Prophet, which refuted those who emphasised the understanding the Quran and deemed the mere recitation of the Quran as insignificant and void of merit. • Mus’ab ibn ‘Umayr was sent to Medina before the hijrah to teach them the Quran. He became known as “al-Qari” (the reciter) and “al-Muqri” (the Quranic teacher). 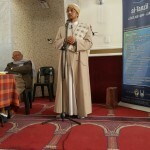 • Mu’adh ibn Jabal was sent to Yemen. • Amr ibn Hazam was sent to Najran. • ‘Abdullah ibn Mas’ud was sent to Kufa, teaching more than 4000 students. • Abu Musa al-Ash’ari was sent to Basra. • Abu al-Darda’ was sent to Sham, his learning circle encompassing around 1700. • Abdullah ibn ‘Aamir (student of Abu al-Darda’) extended the circles until it encompassed 4000. 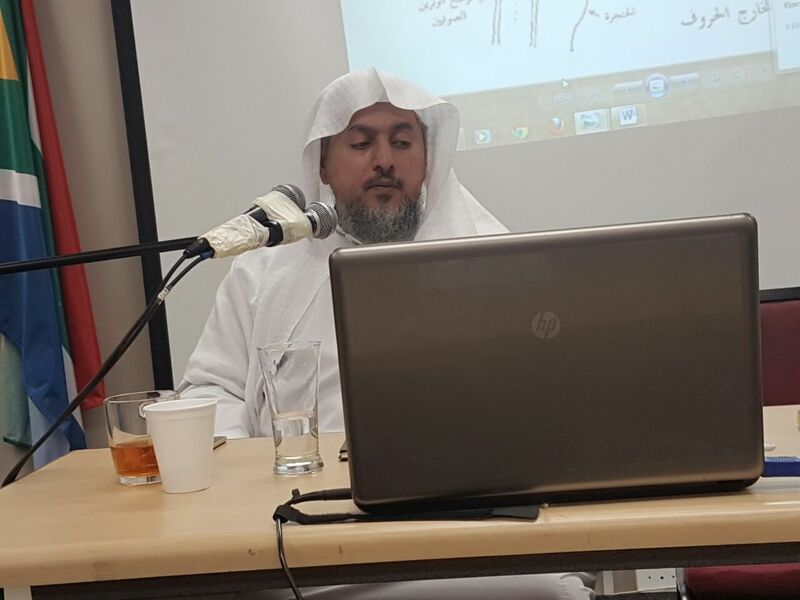 Qari Ayoob also spoke about the oral and written transmission of the Quran and how it preserved its text. He concluded by saying that many speakers concentrate on all the virtues and merits of those involved with the study of the Quran. In contrast, he wished to list some vices of reciters; he stated that many pride themselves on their ability as melodious reciters, the number of students they have, the big schools they run, their long breaths and so forth, yet feign ignorance to the commandments of the Quran. He emphasised that one could not focus all one’s attention on the correct recitation of the Quran and not live the Quran, or having such character which is unbecoming of an ambassador of the Quran. He cautioned against being oblivious to Quranic teachings and encouraged all to solemnly make an effort to live the Quran as well. After the talk, the new database of sanad-holders was announced, as well as an English commentary on the Shatibiyyah that would soon be published by al-Tanzil. The program concluded with Sheikh Abdullah Petersen and Sheikh M. Alawi Alexander completing the Seven Qira’at via the Shatibiyyah. 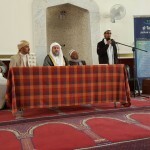 Subsequently, Qari Ayoob ended the proceedings with a dua.